Found 3 file extension associations related to Singularity and 2 file formats developed specifically for use with Singularity. On a clandestine mission deep into Russian territory, an American black ops team crash lands on an island research base that was mysteriously abandoned in the 1950’s. Cut off from the outside and under attack by an army of nightmarish creatures, Captain Nathaniel Renko is forced to battle his way through the hostile territory armed with the TMD (Time Manipulation Device) – a time altering weapon created over 50 years ago. Who created the TMD and why is just one of the many Cold War secrets Renko must uncover as he is thrown back and forth across time, making choices that will alter the course of world history. 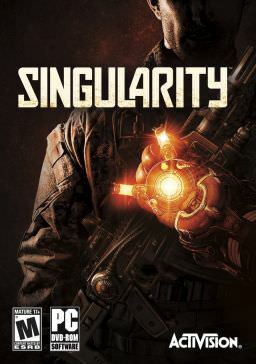 If you need more information please contact the developers of Singularity (Raven Software), or check out their product website.